It sounds like the name of a 1960s girl group: Christy Marvin and the Lady Train. But no. 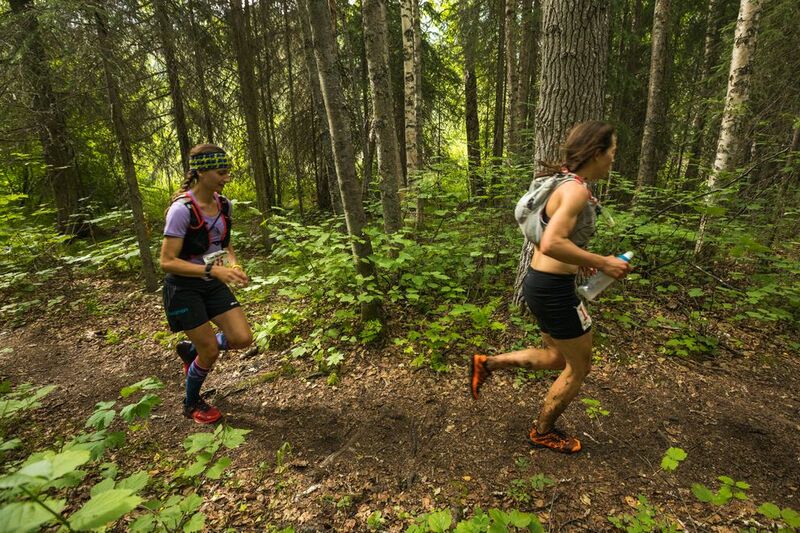 It was the story of the women's race Saturday at the Crow Pass Crossing. 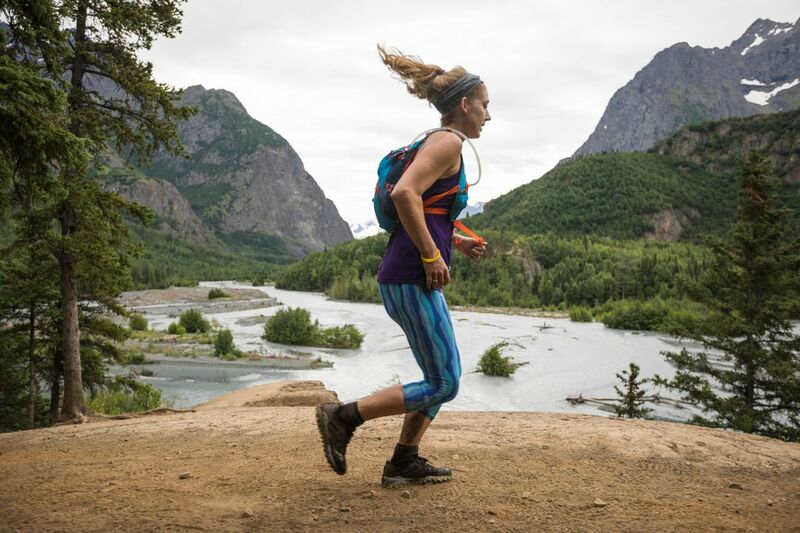 Marvin captured her fourth straight victory in the 22-mile backcountry marathon in Chugach State Park, finishing with a collection of bee stings on her left leg but no course record in the wilderness run from Girdwood to Eagle River. Marvin placed 12th overall in 3 hours, 32 minutes, 21.6 seconds, matching the 10th-fastest time ever recorded by a woman. "I feel OK but I'm a little disappointed," said Marvin, who hoped to challenge Nancy Pease's 1990 record of 3:26:20. "Darn it. Some days you don't have it." Denali Strabel (3:50:38.7), Julianne Dickerson (3:51:00.7), Laura Fox (3:52:01.6) and Allison Barnwell (3:55:38.3). They finished 23rd, 24th, 25th and 26th in a field of 130 men and women finishers. Lauren Fritz just missed finishing with the Lady Train, claiming 29th place in 3:56:43.6. The group – dubbed the Lady Train by Strabel — formed organically rather than intentionally, and it made for some fun times in a punishing race. "Every time we passed a guy, we were like, 'ooh, this is fun,' '' said Barnwell, 26. The group's primary goal, Strabel said, was to pass the same guy at the same time all at once – something that happened during the final few miles, she said. The Lady Train really put on a show at the Perch, a rocky landmark 18 miles into the race that's popular with spectators. It was the second time in race history that six women broke the four-hour barrier in a single race. Six women pulled off the feat in 2016, and five managed it in 2011. Since the race began in 1984, women have broken the four-hour mark 56 times, with nine of those times coming from Pease. Marvin's time was her slowest in four races but it ranks 10th all-time along with Pease's winning time from 1988. Marvin and Pease own 10 of the 11 top women's times, a list topped by Pease's 1990 record of 3:26:20. 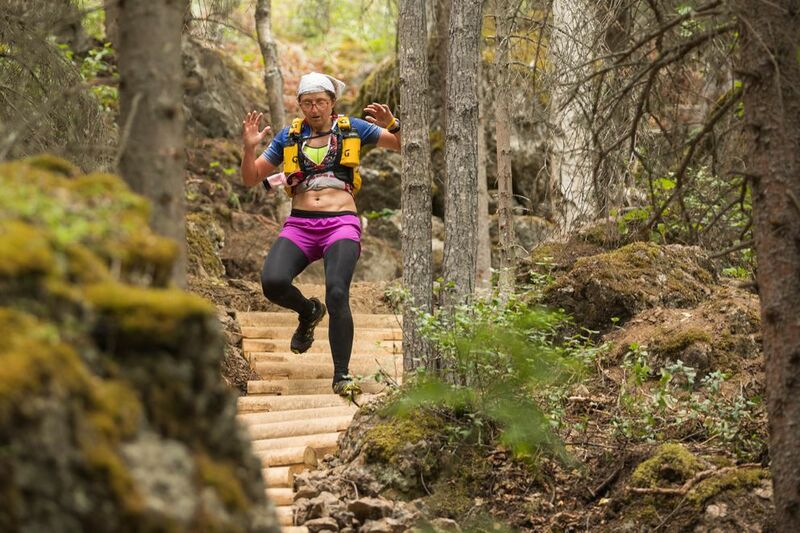 "Every time I chase one of these Nancy Pease records it shows me just how legit she was," said Marvin, whose 2014 time of 3:26:44 is the only effort to come close to Pease's Crow Pass record. 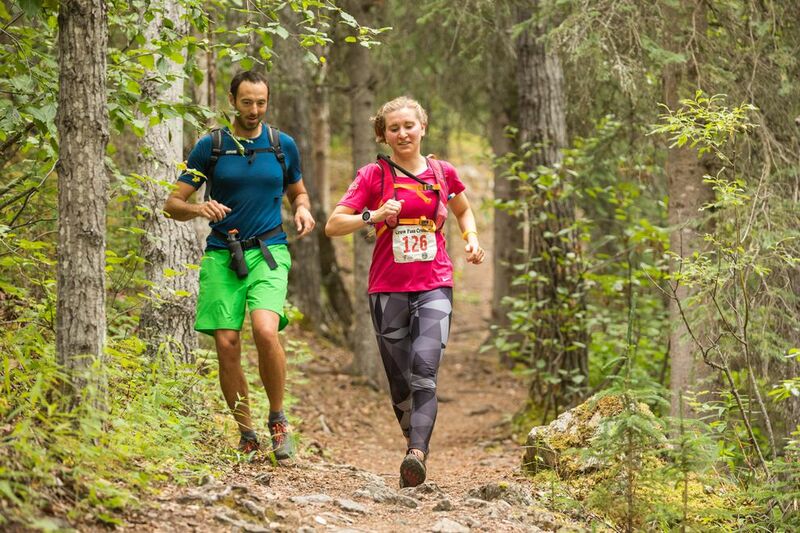 Marvin said she was on pace to challenge the record after she forded Eagle River halfway through the race. "I was as fast as ever coming out of the water," she said. 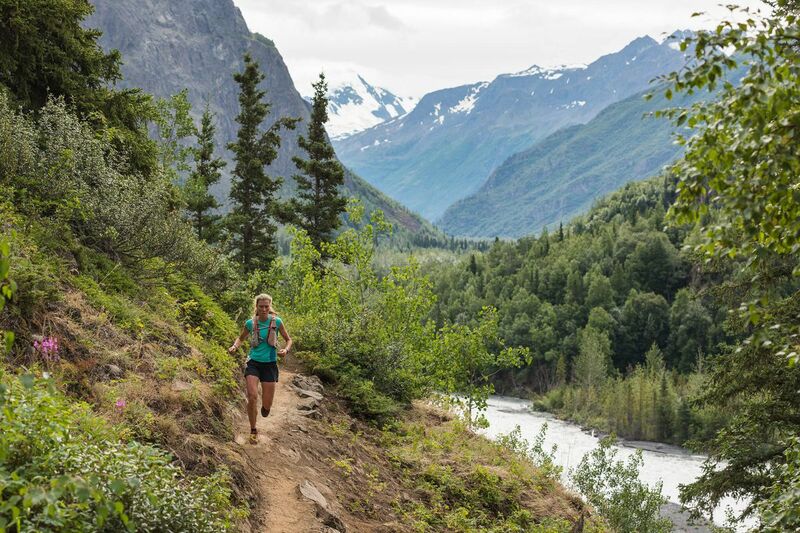 "After the river I didn't quite have the same running pace I normally do." Marvin, a 37-year-old from Palmer, said she's not sure what exactly went wrong. But she knows she lost a minute or two at the Perch, where state park workers rerouted the trail earlier this year. The new trail takes runners up a steep set of steps and back down via switchbacks. It's a hard uphill, especially for tired legs, and race official Harlow Robinson estimated it added at least 30 seconds to the race. Marvin figures it added at least a minute to her time, because when she reached the new trail, she backtracked in an effort to find the old, quicker trail. When she found it, it was blocked by debris so she had to take the new trail anyway. "When I got back (to the new trail) I was at three hours and I knew there was no way I could get the record," Marvin said. "It took the wind out of my sails." But that's not why the record eluded her, she said. "Even if I hadn't gotten a little discouraged, I didn't have the legs to finish under three-and-a-half hours," she said.